164/365. 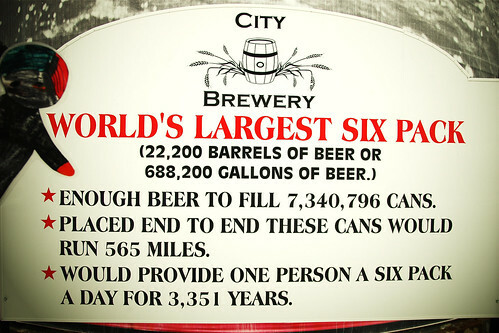 the world’s largest six pack. day 3480: the first day odin played offense and scored a goal. 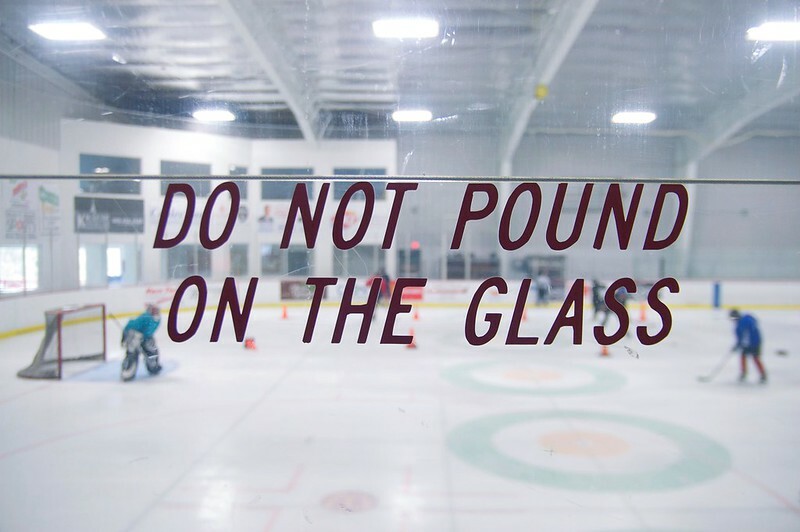 as many of you know, odin has been playing hockey for years. and for all those years, he has played defenseman and quite enjoyed it. but for whatever reason during a tournament in la crosse odin’s coach asked if he wanted to play right wing which is an offense position. he gladly accepted. all the game play is different for a winger and i thought he’d spend a lot of time making mistakes and being a little discombobulated with the change. but he proved me wrong ( not uncommon ) and did a great job picking up passes from defense and moving the puck down the ice and passing to other teammates, disrupting the opponents and working the boards. and he was at the right place at the right time in front of the net and scooped in his first goal ever against a tough goalie. First time playing offense AND ODIN JUST SCORED HIS FIRST GGGGOOOAAALLLL!!!!! even sitting up in the stands, i could see the look of surprise on his face. quite a moment. i don’t know if it was coincidence or not but his goal seemed to rally the team and they scored several more before losing in a close game. i doubt he’ll soon forget his goal on his first playing offense against the formidable la crosse team. i should add that his team came in last place in the tournament. they played four games and lost all four. they weren’t going to play in the tournament because it was against teams that aren’t in their conference. they were all teams from bigger markets with larger pools of players to select from who play on ice all year round. but one team dropped out and the organizers needed another team to play on short notice so we went. they lost handily to the best team from sheboygan, wisconsin but played well against sun prairie and la crosse. 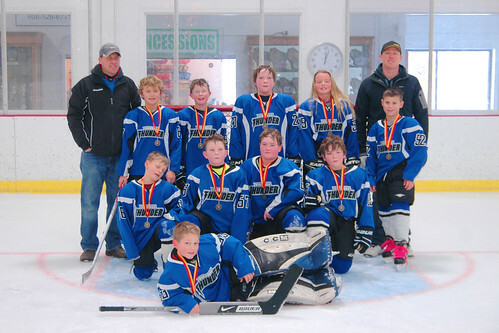 the viroqua underdogs were evenly matched with both teams having similar shots on goal and could have one those games if they could figure out how to get more shots past their ace goalies. they’ve lost most games they’ve played this year. but that obscures the fact that they are a solid team who is playing with a ton of heart and have lost many games by just a goal or two or in overtime. odin's team lost both games today. really fun to watch them play their hearts out against the odds,come close &be happy they did their best. when the pieces come together they’ll be formidable. a patron of unusual age wandered into the coalition drum shop in la crosse, wisconsin and “rocked their faces off”. 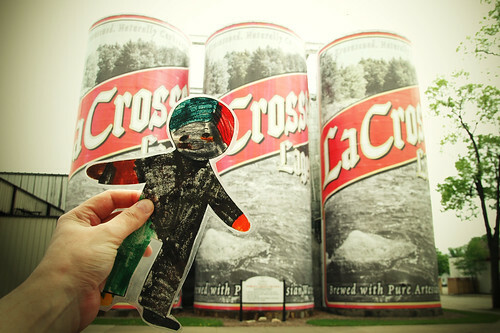 flat stanley tours the driftless region. outtakes at the city brewery. 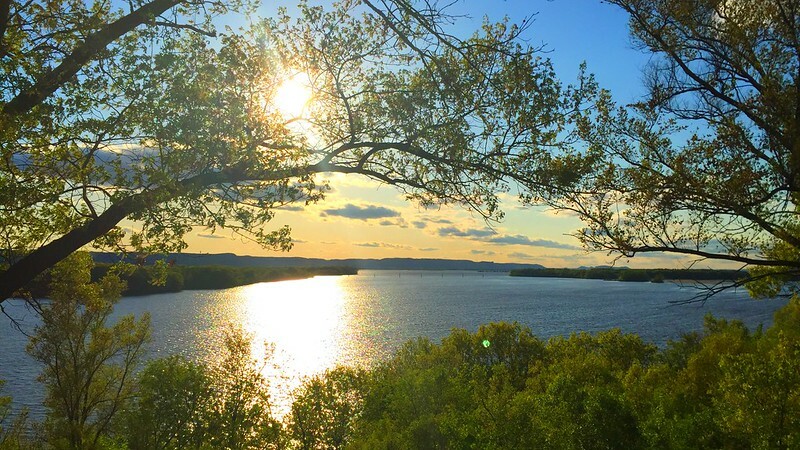 outtakes from flat stanley’s tour of the driftless region for a niece in maine who is participating in the flat stanley project. 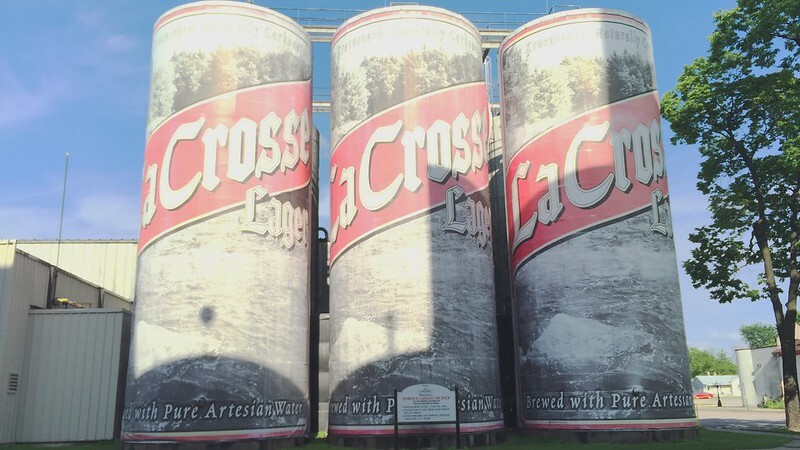 on our trip, we decided to make a quick stop at the city brewery in la crosse, wisconsin because i’ve always wanted an excuse to take a picture of the largest six pack in the world. 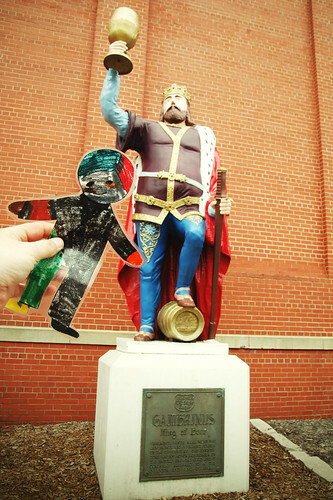 flat stanley poses in front of a statue of gambrinus unofficial patron saint of beer or beer brewing. the plaque reads, “gambrinus, whos real name was jan primus, was a valiant soldier of the 13th century. this knightly duke was an honorary member of the brussels brewer guild and is generally referred to as the inventor and king of beer.